1. Kristina Miroshnichenko and Natalya Korchenkova article headlined "Second Sunday of September Needs to Be Completed" says that the Federation Council has turned down a bill introducing a single day of voting in Russia on the second Sunday of September; pp 1, 3 (705 words). 2. Alexandra Bayazitova et al. article headlined "State Delay to Be Given to Banks" says that due to bad economic forecasts, the Russian government is considering changing the scheme of privatizing state-run banks by decreasing state shares by means of additional issuance instead of selling state stakes in these banks; pp 1, 8 (812 words). 3. Maxim Ivanov and Taisia Bekbulatova article headlined "With Well-Forgotten 'Vzglyad'" says that President Vladimir Putin has approved the management of the Public TV channel. Anatoly Lysenko, the president of the Moscow-based International Academy of Television and Radio and one of the founders of the All-Russia State TV and Radio Broadcasting Corporation (VGTRK), was appointed as general director of the new channel; pp 1, 5 (964 words). 4. Maxim Ivanov brief interview with the head of the Public TV channel, Anatoly Lysenko, headlined "'Bureaucratic Work Will Begin,'" who speaks about the work of the new channel; p 1 (323 words). 5. Yegor Popov and Khalil Aminov article headlined "Bankruptcy From Scratch" says that bankruptcy proceedings have been launched against the United Industrial Corporation, one of the largest financial industrial corporations in Russia, owned by businessman Sergei Pugachev; p 1 (827 words). 6. Pyotr Netreba article headlined "Contract Thaw" says that Prime Minister Dmitry Medvedev has chaired a meeting of the Council of Ministers of the Union State of Russia and Belarus in Minsk and has also met Belarussian President Alexander Lukashenko. Russia and Belarus have signed a contract to construct a nuclear power plant in Belarus; p 2 (790 words). 7. Sofya Samokhina and Viktor Khamrayev article headlined "Russian Media Outlets Being Drawn Into Agent Net" says that United Russia member Yevgeny Fedorov has submitted to the State Duma amendments to the law on media, which envisage referring to Russian media outlets as "foreign agents" if they are financed from abroad; p 3 (522 words). 8. Natalya Korchenkova article headlined "Senators Do Not Lend Ear to Presidential Council" says that the Federation Council has approved all controversial bills passed by the State Duma in the last few days: giving NGOs financed from abroad the status of "foreign agents", requalifying libel as a criminal offense and legalizing a blacklist of websites that publish unlawful information; p 3 (522 words). 9. Ivan Buranov and Tatyana Drogayeva article headlined "Russia Flames Up From Villages" says that the situation with wildfires has worsened in Russia. A state of emergency has been introduced in four regions and 30 districts in various Russian regions; p 5 (519 words). 10. Oleg Rubnikovich and Anna Pushkarskaya article headlined "New Money to Be Given to Old Chairmen" says that Vyacheslav Lebedev has been reappointed as chairman of the Russian Supreme Court and the salaries of the leadership of the court will be increased as of January 2013; p 5 (670 words). 11. Unattributed article headlined "Who Is Anatoly Lysenko for You?" features comments by well-known Russian TV men on Anatoly Lysenko's appointment as head of the Public TV; p 5 (486 words). 12. Kirill Belyaninov article headlined "Human Rights Join Trade" says that the U.S. Senate's Finance Committee has approved a bill abolishing the Jackson-Vanik amendment and approving the Magnitsky law at the same time, which envisages introducing sanctions against Russia and other countries' officials guilty of human rights violations; p 6 (603 words). 13. Sergei Strokan article headlined "Suicide Bomber Reaches President's Family" says that Syrian Defense Minister Dawud Rajihah and former Deputy Defense Minister Asif Shawkat, President Bashar Assad's brother-in-law, have been killed and several more high-ranking military and security officials have been injured in a terrorist attack in Damascus; p 6 (482 words). 14. Pavel Tarasenko article headlined "Spanish Business Makes King's Move" says that the king of Spain is visiting Russia; p 6 (471 words). 15. Andrei Kolesnikov report headlined "Blast in Damascus Echoes in Kremlin" says that President Putin has met Turkish Prime Minister Recep Tayyip Erdogan and features Foreign Minister Sergei Lavrov's statements about the situation in Syria in the light of this meeting; p 6 (1,078 words). 1. Alexandra Samarina article headlined "State May Get Into Bloggers' Web Purses" says that the presidential administration has become interested in tax evasion by bloggers who post adverts on their Web pages. The State Duma will reportedly consider a relevant bill at the autumn session. Bloggers say that the move is aimed against the organizers of mass protest rallies; pp 1-2 (700 words). 2. Gleb Postnov article headlined "'Forest' Muslims Dictate Religious Fashion to Tatarstan" says that Muslims from the North Caucasus republics Chechnya and Dagestan are acquiring greater influence in the Tatarstan republic and becoming spiritual leaders for Tatar fellow believers more often; pp 1, 5 (600 words). 3. Another article by Alexandra Samarina headlined "Anatoly Lysenko Learns About Makeup of Supervisory Council of Public TV From Newspaper's Journalist" says that President Putin has approved the makeup of the supervisory council of the Public TV channel and Anatoly Lysenko as head of the new channel. The ruling party has backed the move, whereas the opposition has slammed it; pp 1-2 (700 words). 4. Nikolai Surkov article headlined "Violence in Syria Reaches Ministerial Level" says that high-ranking defense and security officers have died as a result of a terrorist attack in Syria. Meanwhile, Russia and the West are looking for a way out of the diplomatic deadlock in the UN Security Council as regards the settlement of the Syrian conflict; pp 1, 7 (600 words). 5. 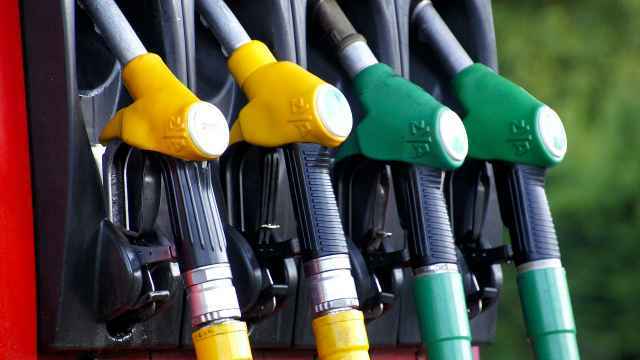 Mikhail Sergeyev article headlined "Economy Slows Down, While Inflation Accelerates" says that according to the Economic Development Ministry, the second half of the year will be marked by stagnation and a high inflation rate in Russia; pp 1, 4 (600 words). 6. Tatyana Ivzhenko article headlined "Crimea Demands New Constitution" looks at the agenda of a meeting of the Crimean Tatars' national assembly (Kurultay) set for July 21-22; pp 1, 6 (600 words). 7. Editorial headlined "Insurmountable Obstacle for Economy" comments on a failed reform in the electric energy sector in Russia; p 2 (400 words). 8. Viktor Litovkin article headlined "Hysterics by Tbilisi" says that Georgia has once again accused Russia of militarizing breakaway republics Abkhazia and South Ossetia in response to the Russian Ground Troops commander's visit there to mark the 20th anniversary of Russia's peacekeeping mission there; p 3 (550 words). 9. Alexei Gorbachev article headlined "Human Rights Activists Against 'Bolotnaya Justice'" looks ahead at a meeting between the head of the Federal Prison Service, Anatoly Tikhomirov, and human rights activists. The probe into the May 6 riots on Moscow's Bolotnaya Ploshchad is planned to be discussed at the meeting; p 3 (700 words). 10. 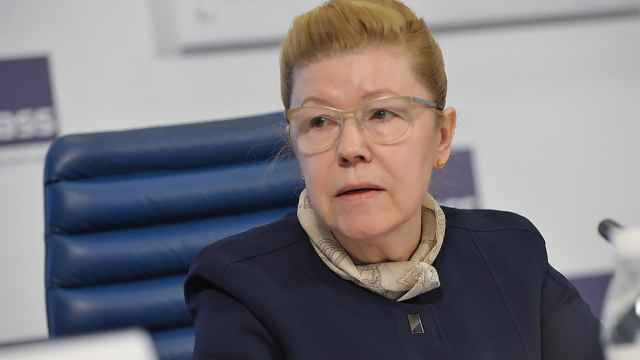 Olga Shulga article headlined "Panic-Mongers to Be Determined Hot on Tracks" says that Federation Council first deputy chairman Alexander Torshin has suggested introducing administrative or criminal responsibility for spreading panic rumors as regards the situation in the flood-stricken town of Krymsk in the Krasnodar region. Experts are critical of the initiative; p 3 (600 words). 11. Sergei Kulikov article headlined "Military Men Defeat Finance Ministry" says that military spending will increase 25.8 percent in 2013; p 4 (600 words). 12. Svetlana Gamova article headlined "Russia's Peacekeeping Mission Found Dangerous" says that Moldova has asked the Organization for Security and Cooperation in Europe to remove Russian peacekeepers from the Transdnestr republic because it is useless and dangerous; p 6 (700 words). 13. Sokhbet Mamedov article headlined "Azerbaijan Not Interested in Customs Union" says that Baku has decided not to join the Customs Union of Russia, Belarus and Kazakhstan; p 6 (450 words). 1. Timofei Dzyadko and Milana Chelpanova article headlined "Timchenko Returns" says that Ural Invest, an investment consultant of the Luxembourg-based fund Volga Resources, which owns businessman Gennady Timchenko's largest assets, has founded a subsidiary in Moscow to manage the assets; p 1 (595 words). 2. Maxim Tovkailo et al. article headlined "Medvedev's Defense" looks at a draft federal fiscal policy for 2012-15 published by the Finance Ministry and says that the government is not backing a cut in budgetary spending; pp 1, 3 (983 words). 3. Alla Tokareva and Natalya Biyanova article headlined "Children's Debts" says that fraudsters have managed to earn up to 20 million rubles ($625,000) on debit cards given to minors by Svyaznoy Bank in St. Petersburg; p 1 (447 words). 4. Editorial headlined "Matter of Time" comments on a draft federal fiscal policy for 2012-15, which envisages a cut in budgetary expenses, which the Russian government is opposing, and says that the cut is inevitable and the matter is whether budget items will be cut in a well thought-out way and in good time, or hastily and at the same time with measures to save the economy from recession; pp 1, 4 (569 words). 5. Natalya Kostenko article headlined "Outcome of Old-Timers" says that only four out of 12 Federation Council senators are taking part in United Russia primaries to stand in the autumn regional elections. According to new principles of forming the upper chamber, candidates for the Federation Council should become regional deputies first; p 2 (486 words). 6. Maria Zheleznova article headlined "Trebling of Central Elections Commission" says that budgetary spending on three branches of the federal power will be reduced within the next three years, but an exception will be made for the Central Elections Commission, budgetary spending on which will almost treble, to 9 billion rubles (some $281 million), in 2013-14; p 2 (394 words). 7. Yelena Mazneva article headlined "Gazprom Insures in Asia" says that the Russian gas giant Gazprom is holding talks with Brunei on LNG purchases for export; p 8 (672 words). 8. Lilia Biryukova article headlined "Medvedev's Bad Day" says that the legislative initiatives put forward by former President Dmitry Medvedev have been cancelled, not passed or ignored by the State Duma. This significantly weakens Medvedev's position as the prime minister, and it is obvious that Putin has launched a counter reform, political analysts says; p 2 (419 words). 9. Alexei Nikolsky interview with Dmitry Petrov, general director of the Russian Helicopters holding company, headlined "'Doors Are Closed for No One'", who speaks about the performance of the company; p 5 (2,479 words). 1. Marina Grityuk interview with Far East Development Minister and presidential envoy to the Far Eastern Federal District Viktor Ishayev, headlined "Five Reasons to Fly to Khabarovsk," who speaks about life in Russia's Far East and prospects for the region's development; pp 1, 3 (616 words). 2. Roman Markelov article headlined "Finance Ministry Ready for Work and Defense" looks at the 2013-15 draft federal fiscal policy published by the Finance Ministry; pp 1, 3 (743 words). 3. Oksana Naralenkova article headlined "Key With Right to Programs" looks at Anatoly Lysenko's appointment as head of the Public TV channel in Russia, features his and well-known film director Karen Shakhnazarov's comments on the appointment; pp 1, 3 (557 words). 4. Tatyana Pavlovskaya interview with Alexander Vasilyev, the head of the flood-stricken Krymsk district in the Krasnodar region, headlined "Trouble Unites Best People," who speaks about volunteers helping eliminate the consequences of the flood in the town of Krymsk and the recent scandal over the removal of the volunteers' camp in the town; pp 1, 7 (705 words). 5. Maxim Makagonov article headlined "Based on Kuban" says that Putin has met high-ranking officers appointed to senior command positions. At the meeting, Putin listed tasks set before various agencies and spoke about the need to introduce an emergency warning system throughout the country; p 2 (799 words). 6. Konstantin Novikov article headlined "Last Day of Senate" focuses on the final meeting of the Federation Council in the spring session, at which the protocol on Russia's accession to the WTO has been ratified among other things; p 2 (532 words). 7. Kira Latukhina report headlined "Points of Contact" looks at a meeting between the Russian president and the Turkish prime minister in Moscow; p 2 (650 words). 8. Vladimir Kuzmin article headlined "There Are Questions" looks at a meeting between the Russian prime minister and the Belarussian president in Minsk; p 3 (529 words). 9. Olga Dmitriyeva article headlined "Laundered Billions" says that HSBC has been accused of laundering money owned by drug lords and such countries as Iran, North Korea and Syria; p 8 (435 words). 10. Viktor Feshchenko article headlined "End of 'Volcano'" says that a suicide bomber has committed a terrorist attack in Damascus, which claimed the lives of the Syrian military and security leadership; p 8 (441 words). 1. Ivan Cheberko article headlined "Scientific Module for ISS to Remain on Earth" says that the launch of the Russian multipurpose laboratory module toward the International Space Station may be put off again; pp 1, 3 (486 words). 2. Anastasia Alexeyevskikh and Yelena Shishkunova interview with Alexei Ulyukayev, first deputy chairman of the Central Bank, headlined "'This is not crisis, but new normality,'" who speaks about the economic situation in Russia and prospects for the ruble exchange rate; pp 1, 4 (1,596 words). 3. 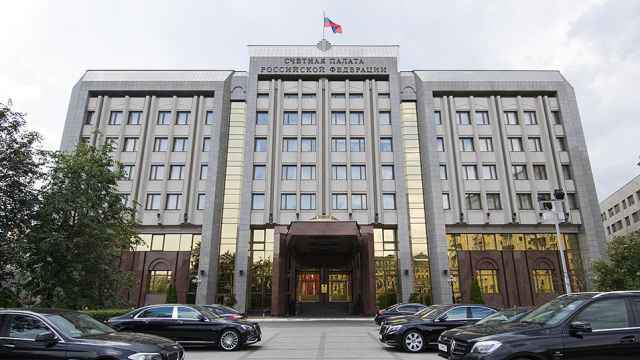 Olga Zhermeleva article headlined "Deputies Think About Missing Children" says that a search for missing children will become one of the main points for discussion at the autumn session of the State Duma to begin in September; pp 1-2 (742 words). 4. Anastasia Alexeyevskikh article headlined "VTB Pins $1.6Bln Offshore Credit on Bank of Moscow" says that VTB has transferred to its subsidiary, Bank of Moscow, loans worth 52 billion rubles ($1.63 billion). Analysts say that thus the bank has got rid of bad loans and prepared for the Central Bank's new requirements; pp 1, 4 (600 words). 5. Mikhail Rubin article headlined "Rosprirodnadzor Hands Over State Functions to Private Companies" says that according to Oleg Mitvol, former head of the Federal Inspection Service for Natural Resources Use, the agency has handed over state functions to control the environment to a private company, thus violating the law; pp 1, 3 (428 words). 6. Denis Telmanov article headlined "Air Base of Air Force and Air Defense Flooded in Krymsk" says that the flood in the Krasnodar region town of Krymsk has disrupted reconstruction of an Air Force and Air Defense base deployed near the town for the 2014 Olympics in Sochi. The damage caused by the flood may reach 200 million rubles (some $6.3 million); pp 1-2 (634 words). 7. Olga Tropkina interview with the head of the Public TV channel, Anatoly Lysenko, headlined "'I Will Take Even Navalny,'" who speaks about his appointment to the post and says that he will allow opposition activists to appear in programs on the channel; p 3 (565 words). 8. 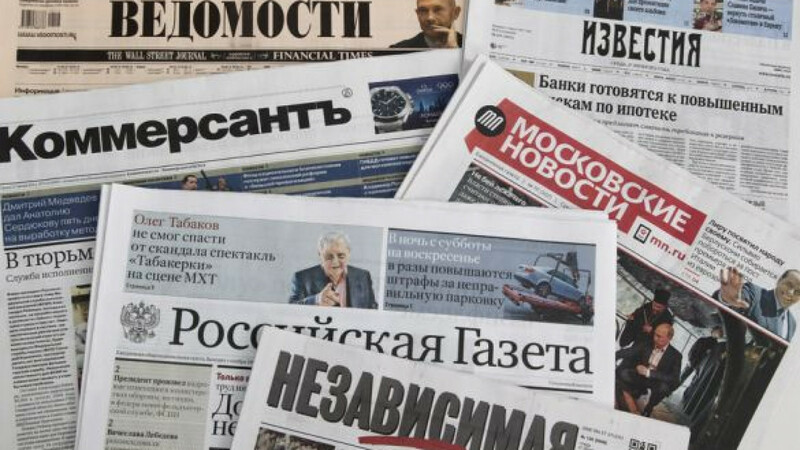 Olga Zhermeleva report "United Russia Member Submits to State Duma Bill on Foreign Agent Status for Media" says that United Russia member Yevgeny Fedorov has submitted to the parliament amendments to the law on mass media; p 2 (700 words). 9. 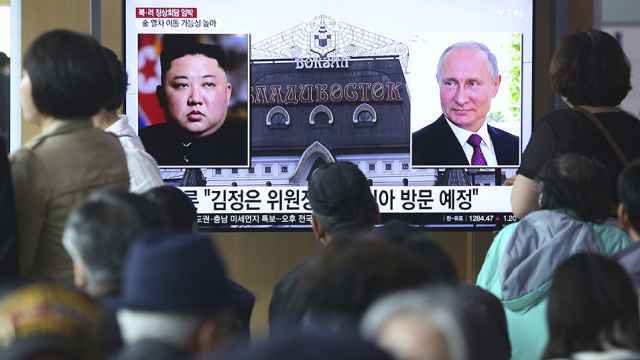 Natalya Galimova article headlined "Censorship Awaited From Public TV" looks at the selection of candidates for the supervisory council of the Public TV channel and expectations for a policy to be conducted by the new channel; p 3 (551 words). 10. Konstantin Volkov article headlined "Tajikistan Swaps Migrant Workers for Military Base" says that Tajikistan has agreed to free deployment of a Russian military base after 2014 and provides experts' comments on reasons behind Dushanbe's decision; p 7 (443 words). 11. Alexei Bayev article headlined "Russia Plans to Outstrip U.S.A. in Trade With India" outlines Deputy Prime Minister Dmitry Rogozin's statements on the development of trade and economic cooperation between Russia and India, made during his visit to Delhi; p 7 (545 words). 12. Political analyst Kirill Benediktov article headlined "Rumors at Most" looks at a new conflict between the Investigative Committee and the Prosecutor General's Office; p 10 (784 words). 13. Sergei Roganov report "Foreign Agents, Defamation and Russia" looks at recent laws passed by the Russian parliament and at the political situation in the country; p 10 (700 words). 1. Konstantin Smirnov article headlined "They Wait for Promised Pensions 3 Years" comments on Prime Minister Medvedev's promise to raise the average pension by 45 percent at least from 2015, focusing on the source of financing for the move; pp 1-2 (800 words). 2. Yulia Kalinina interview with Moscow Helsinki Group head Lyudmila Alexeyeva, headlined "Best Present for Lyudmila Alexeyeva," who speaks about the new law on NGOs and how it has affected the performance of the Moscow Helsinki Group, among other things; pp 1, 10 (2,812 words). 3. Irina Sukhova interview with Viktor Danilov-Danilyan, the head of the Water Problems Institute at the Russian Academy of Sciences, headlined "Does Water Apocalypse Threaten Russia?" who shares his view of the causes of the major flood in the Krasnodar region and speaks about hundreds of abandoned reservoirs in Russia, which could cause floods; pp 1, 4 (2,508 words). 4. Valeria Chizhikova article headlined "Money for Defense Ends" looks at planned military spending envisaged by a draft federal fiscal policy for 2013-15; p 2 (406 words). 5. Igor Karmazin report "They Informed Everyone, But No One Heard" looks at the situation in flood-hit Krymsk; pp 1, 3 (500 words). 6. Viktoria Prikhodko article headlined "Communists Unite With Democrats" says that five newly established parties have set up a coalition to fight for seats at municipal elections; p 2 (495 words). 7. Renat Abdullin and Igor Subbotin article headlined "Do Islamists Lose in Libya?" looks at the political landscape in Libya after the parliamentary elections and features an expert's comment on the election results; p 3 (518 words). 8. Anastasia Rodionova article headlined "Volunteers Equated to Vampires" says that the Public Chamber has debated a bill regulating the work of volunteers in Russia; p 3 (535 words). 9. Matvei Ganapolsky article headlined "Civil Defense From Authorities" comments on an initiative to oblige all Russians to undergo special training on how to behave during natural and man-made disasters; p 3 (975 words). 1. Vera Moslakova article headlined "Public TV Acquires Face" says that the management and the supervisory council of the Public TV channel have been approved; pp 1-2 (428 words). 2. Anatoly Dmitriyev article headlined "Bloc Against Filter" says that the Communist Party of the Russian Federation and the Just Russia party are considering nominating single candidates for autumn regional elections; p 2 (643 words). 3. Vera Moslakova interview with Sergei Davidis, the head of the May 6 Committee, headlined "'New Wave of Questioning Begins,'" who speaks about the July 26 rally in support of people who were detained as part of the criminal case on May 6 riots on Bolotnaya Ploshchad and about the Investigative Committee questioning him; p 2 (594 words). 4. Konstantin Nikolayev report "Bomb Ends Meeting" looks at the terrorist attack in Syria; p 2 (250 words). 5. Komil Aliyev article headlined "Poorly Watched Over" looks at Tajikistan's relations with Russia and CIS countries and says that Tajikistan will more likely join the WTO rather than the Customs Union of Russia, Belarus and Kazakhstan; p 3 (634 words). 1. Newspaper publishes Putin's letter to the residents of the Krasnodar region who have been affected by a recent large-scale flood; pp 1-2 (1,000 words). 2. Vasily Aut report "Author of 'Vzglyad' and 'What, Where, When' Becomes Head of Public TV" looks at the appointment of Anatoly Lysenko as head of Public TV; p 4 (100 words). 3. Andrei Moiseyenko interview headlined "We Will Negotiate With Censorship" with head of the Public TV Anatoly Lysenko; p 4 (800 words). 1. Maria Dubova report "Cut Off Any Arm" looks at the terrorist attack in Damascus killing Bashar Assad's associates; p 4 (700 words).